Dianne Myers (Scruggs) Montford, 78, of Kingsport, died Wednesday, February 6, 2019 surrounded by her loving family. She was born in Kingsport, Tennessee, on August 10, 1940. She resided in Kingsport throughout her adult life. "Tody", as she was affectionately known by many, was a 1958 graduate of Dobyns-Bennett High School. She attended Guilford College in Greensboro, North Carolina and earned her Bachelor of Arts degree in Elementary Education from East Tennessee State University. Dianne was a devoted and loving teacher for over 30 years in the Kingsport City School System, spending most of her career at Andrew Jackson Elementary. She was a long time member of First Broad Street United Methodist Church where she was actively involved in many aspects of the church. Dianne was an avid and skilled gardener and was a member of the Little House and Garden Club. She was involved in numerous other community organizations over her lifetime including Kingsport Book Club, The Kingsport Retired Teachers Association, and she was a sustaining member of the Junior League of Kingsport. Other activities and groups she loved and adored included her creative writing group, the Saturday Saps and the Hard Boiled Eggs. Dianne was a devoted wife, mother, grandmother, great-grand-mother, and friend to many. She was preceded in death by her parents E.P. Myers and Dorothy Cox Myers. 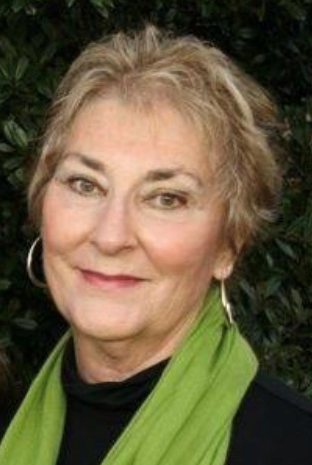 Dianne is survived by her husband, Charles Montford, of Kingsport; her four children, David Richard Scruggs III (Catherine) of Church Hill, Elizabeth Scruggs Whiting (Darren) of Nashville, Andrew Myers Scruggs of Johnson City, and Brian Edward Montford (Jamie) of Johnson City; six grandchildren, Lauren Scruggs Light, Justin Walter Gooch, Richard Myers Beaird, Daniel Reed Beaird, Abigail Katheryn Montford, Sofia Ryan Whiting: and one great-grandchild, Liam Asa Light. A celebration of Dianne's life will be held at 1:30 p.m. on Saturday, February 16, 2019, at First Broad Street United Methodist Church, Kingspor with Dr. William Randall Frye and Rev. Jack Weikel officiating. A reception will follow at the church. A private family inurnment will be at First Broad Street United Methodist Church Columbarium. In lieu of flowers memorial contributions can be made to First Broad Street United Methodist Church, 100 E Church Cir, Kingsport, TN 37660.